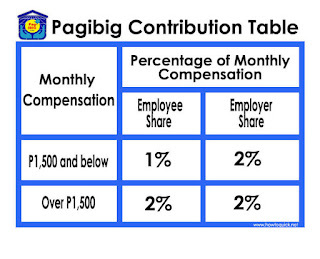 Wondering how much you and your employer paying monthly for PagIbig? Some of us who are working for a company does not know how much we are paying or the deducted amount in our monthly salary. The monthly deduction automatically done by our employer through the payroll system and most of us only focuses on how much is our total take home pay. For employees, you need to know your contribution as it is also part of your hard earn money every month. You can benefit this in the future if you are planning to avail housing loan and other Pag-ibig loan programs. 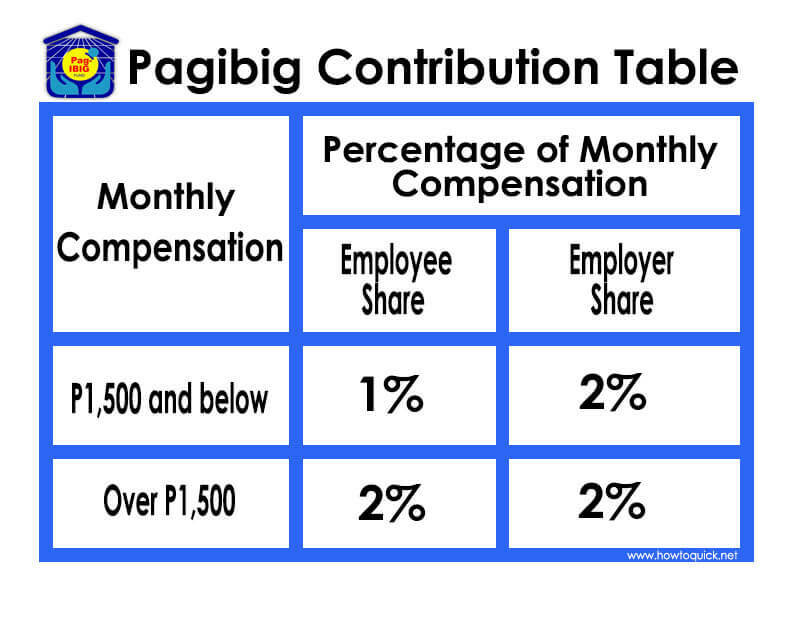 For employers, they need to be updated on how much is the contribution or share percentage to provide exact computation for Pag-ibig payments. Take note that the maximum monthly compensation is Php5000.00. That means the maximum contribution of a member is 100 pesos and employers share is also Php100. If you are earning more than 5,000 pesos every month, you are automatically deducted P100 + 100 from your employer. The combined amount serves as a monthly contribution to Pag-Ibig. See also the new and updated SSS Contribution Table. The table above is applicable to members, including OFW’s. 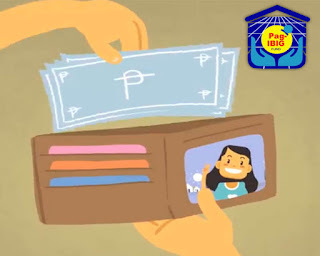 PAG-IBIG (HDMF) is a mutual fund developed to provide affordable housing for the Filipinos and at the same time to generate savings for the future. You can visit PagIbig HDMF Official website to know the latest news and updates.